​Manchester United are poised to begin talks with 'super agent' Mino Raiola with a view to signing one of his clients - PSV Eindhoven winger Hirving Lozano. 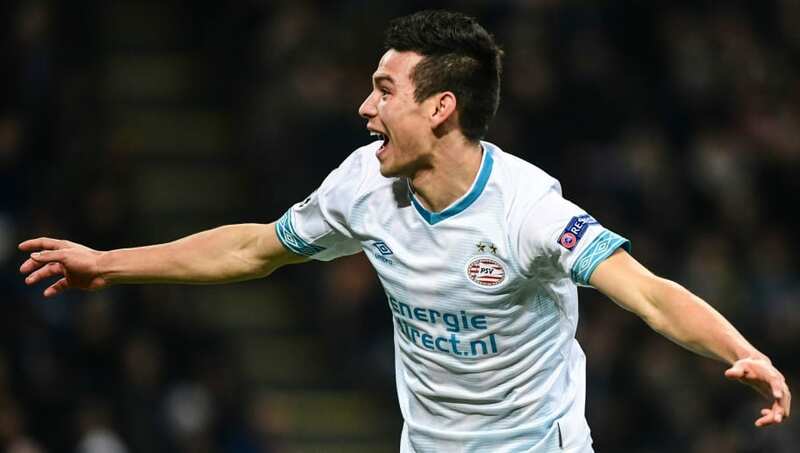 Lozano, 23, has been plying his trade in the Netherlands since 2017, where he netted 17 league goals and provided eight assists to help the Dutch side to the Eredivise title in his debut season, while this campaign also sees them currently top of the table, with the Mexican netting 15 league goals and providing six assists so far. His form has alerted teams across the continent, with ​Manchester United the latest suitors, according to Gazzetta dello Sport, via ​The Metro, with the ​Premier League side set to commence discussions with Raiola over a possible move to Old Trafford. Serie A side ​Napoli had appeared to be front-runners for the Lozano - who was being priced at £34m - although United's interest in the winger could put a potential move to Italy in jeopardy. Lozano isn't the first winger that the Red Devils have been linked with ahead of the summer transfer window, as Borussia Dortmund's Jadon Sancho is anther name seemingly on the club's radar, ​with the Bundesliga side pricing the 18-year-old at £100m following his fine season that has seen him score nine goals and provide 13 assists. Hirving Lozano with another goal today! Should Lozano move to United, he would be the latest player on Raiola's books to move to Old Trafford in recent seasons, with Paul Pogba, Romelu Lukaku, Henrikh Mkhitaryan and Zlatan Ibrahimovic all making the move to the red half of Manchester with the Italian representing them.